Truck Parts Manuals: 1. 2R-5E parts, 2. 3E-6E Parts, 3. 7E-8E Parts. Manuals for 2R Trucks: 1. Shop, 2. Parts, 3. Owners. 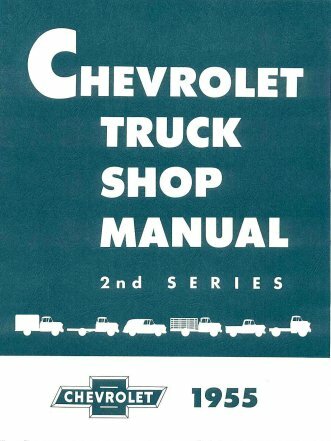 1955 Chevrolet Truck Shop SECOND SERIES AND 1956 Chevy Supplemental that brings1955 Shop up to date with 1956 Models.